Next, you'll slice up all those sections you just sewed. First, even up the edge of each section by lining your ruler up along the edge, making sure to keep the angle at 60 degrees. 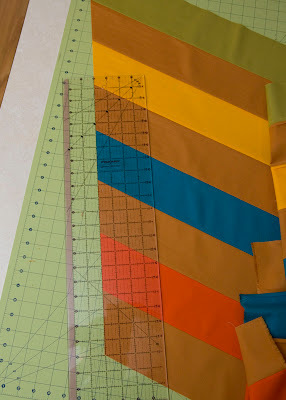 A large cutting mat (24"x36") is very helpful when cutting these long strips. Once you have a clean edge, start cutting strips. Aline the pieced edge of the fabric with the 4" line on the ruler. 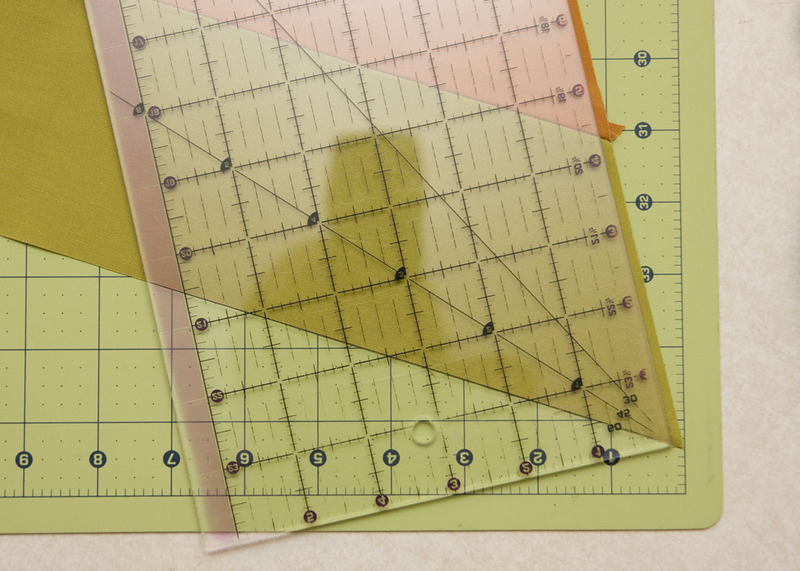 You will have to pick up the ruler and move it once to finish the cut. 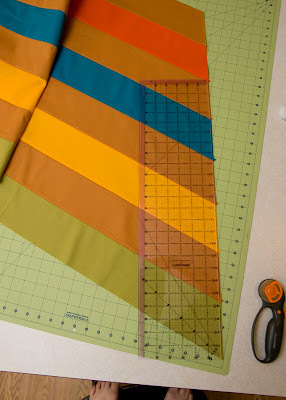 Don't slide your ruler along the fabric as this can stretch it and distort the cut. 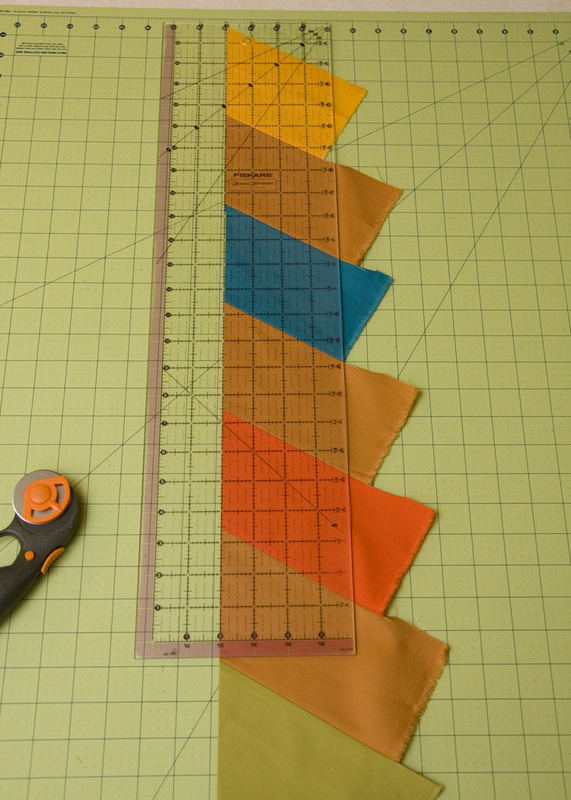 Pick up the ruler and place it down on the fabric to finish cutting the strip. 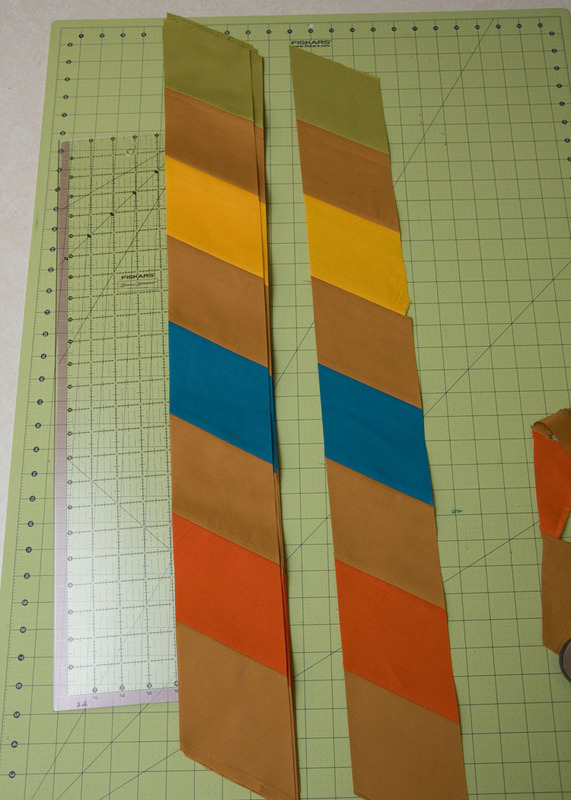 Each section should result in 8 pieced strips. Depending on the width of your fabric, you may actually get one more whole or partial strip. 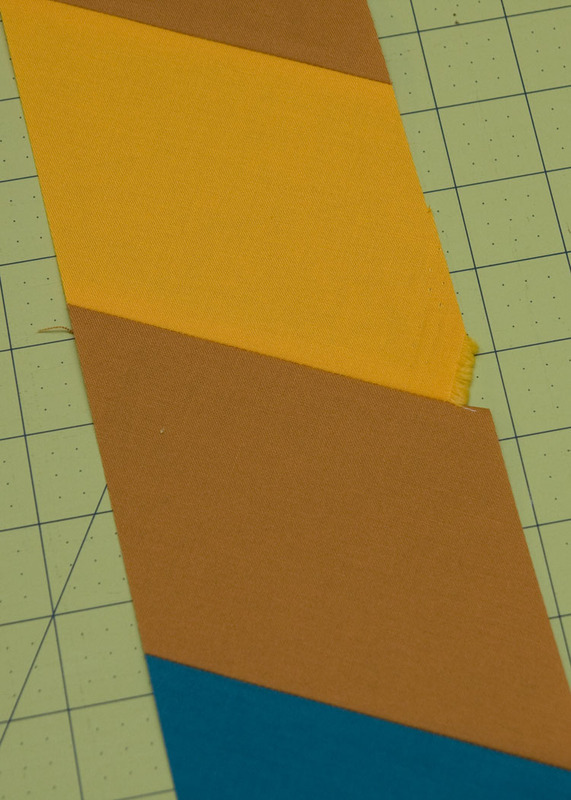 As you can see here, my yellow isn't quite long enough to make a complete strip, but these pieces can be used in case of mistakes. You will need 28 additional diamonds in the main color to finish piecing the outer edges of the quilt. 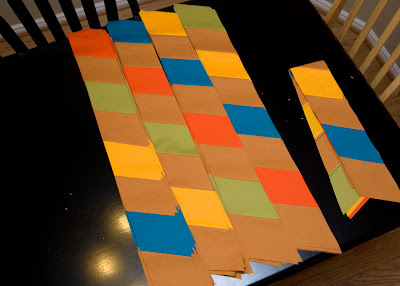 You can either unpick the extra diamonds in the main color from these scrap strips or cut four additional 4" strips and cut 4" diamonds from each strip. You should have 24 strips of section A and 8 strips each of sections B, C & D. I've folded the scrap strips together to keep them separate and save for later. Piecing instructions start later this week.